My son is obsessed with Olaf and he is super excited for new Olaf! My girls will be so happy to find out about this! They LOVE Frozen! my granddaughter will be thrilled to hear this news! I knew there would be a Frozen #2.I can’t wait to take my granddaughter. hmmmm we’ll see! I’m not a big sequel person. Hate to be the “BUMMER” but usually they’re just not as good as the original! Frozen was awesome, but Frozen 2… will it end up like Rocky??? Just sayin! Oh, geeze, every little girl in America is jumping up & down. There will probably be another song we can’t escape, lol. my nieces will love this news!!!!!! This is very exciting. My two year old already knows the names of all the characters and tries to sing along. She will be thrilled for the new one! The first one was so cute and funny. I can’t wait for the second one!! We love Frozen. I can’t wait to see the second one! My family enjoyed the first movie so am definitely excited for the sequel! 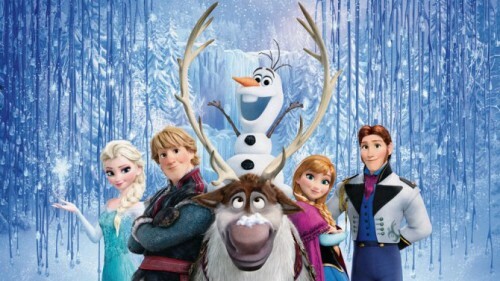 you almost new that Disney would do a sequel with the amount of money and publicity the first Frozen did and made. i am sure the second one will be just as good a hit. i wonder if the theme song will be as big hit as the first one. My kids will be so happy! I figured there would be a sequel after the popularity of the first one. I bet it will be good! What wonderful news! I was hoping that this would happen. My family will be so happy!